Summertime means more time outdoors and, for hikers and campers, is the best part of the year! Unfortunately, warmer temperatures and summer showers also mean mosquitoes, ticks, mites, and a whole host of other biting bugs come out in force. This is not only a major annoyance but also a potential health risk. Mosquitoes are the worst culprits for transmitting diseases and are known to carry ZIKA, malaria, yellow fever, Japanese Encephalitis, chikungunya, and dengue. Ticks are also dangerous as their bites can transmit Lyme disease, a serious illness that can cause lasting symptoms if left untreated. However, this is no reason to lock yourself away indoors this summer! There are several highly effective sprays available to repel biting insects, safeguarding you and your family from harm. Unfortunately, many of the most effective sprays and lotions on the market contain DEET; a chemical that, although great for repelling mosquitoes, can also be highly toxic to humans. So, what’s the solution? Luckily, there are several formulations on the market that can effectively repel insects without the use of DEET. Picaridin is a colorless, odorless chemical that performs just as well as DEET, but with far lower toxicity and without the obnoxious smell. Permethrin is another viable solution. This insecticide is often incorporated into sprays designed to treat fabrics and outdoor gear, effectively repelling insects for long periods of time – even after washing! Both products are great for keeping bugs at bay during the summer season, but which are the best repellent sprays on the market today? 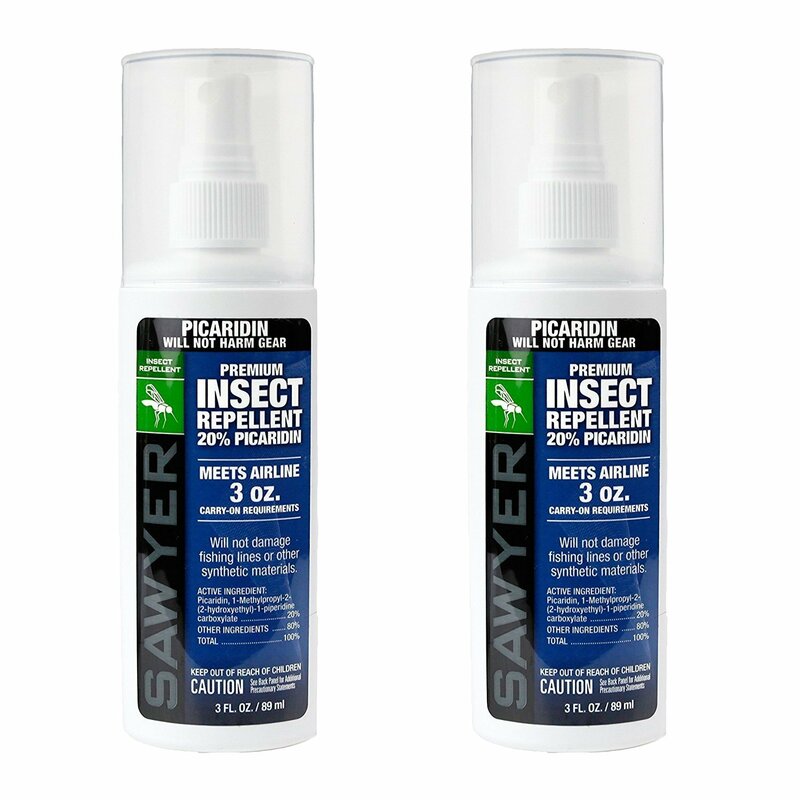 Whether you’re out hiking, fishing, camping or simply enjoying an evening outdoors, Sawyer Picaridin Insect Repellent can help to keep biting insects at bay. Formulated with 20% picaridin, it claims to effectively repel mosquitoes, ticks, gnats, chiggers, and sand flies for at least 8 hours (and 12 in the case of mosquitoes and ticks). But does it work? For the most part; yes! The majority of customers report that this picaridin-based repellent keeps away all biting insects for long periods of time. Not only this, but the active ingredient is less toxic (and smelly) than DEET, for a family-friendly alternative to this effective, but noxious, chemical. Despite this, many people report that this repellent isn’t quite as powerful as DEET, and must be re-applied more frequently for total effectiveness. 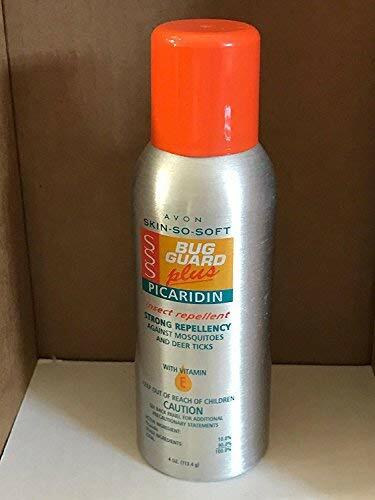 The Sawyer Picaridin Insect Repellent falls far short of it’s ‘8-hour’ claim for most customers and tends to wear off after just 4 or 5 hours. This may mean that, if you plan to be outdoors a lot this summer, you may end up using a lot of the stuff! Nevertheless, this repellent can be an effective and safe alternative to DEET-based insect repellents this summer. It is also available in both a lotion and a spray, allowing you to choose whichever best suits your needs. This picaridin-based repellent has less of the active ingredient than the Sawyer brand and contains only 10% picaridin. As a result, it keeps biting bugs away for shorter periods of time, claiming to repel mosquitoes for up to 7 hours and deer ticks, gnats, sand flies and midges for up to 6 hours. The Avon Bug Guard repellent is available both as an aerosol and a lotion, so you can choose whichever best suits your needs. The repellent has a pleasant fragrance that is far preferable to the scent of DEET-based products, and it’s less toxic, too. This makes it more suitable for use on kids and also dogs if you’re venturing into an area with lots of ticks. Unfortunately, the effectiveness of this product seems to vary from person to person. While some find that it effectively repels biting insects, others will find that they are still under attack. This may be down to the individual biology of each person, as certain blood types are more attractive to mosquitoes than others. However, even those who find the product effective will have to reapply the Avon Bug Guard repellent regularly (and in copious amounts) to see results. This means users are likely to run through the product quickly, making this an expensive option for families and people who plan to spend a lot of time outdoors this summer. 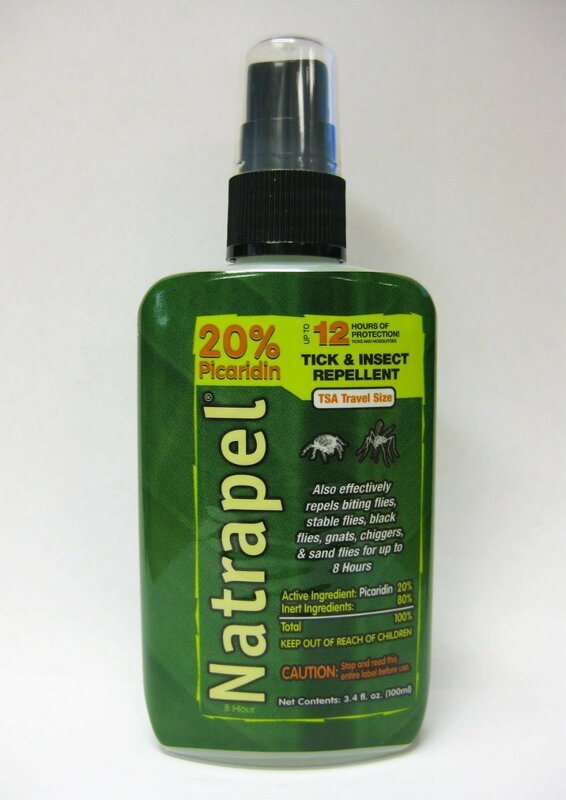 With 20% picaridin, the Natrapel insect repellent does a decent job at keeping mosquitoes, ticks, gnats, midges and sand flies off. This DEET-free formula is less toxic than other bug sprays, so is far safer to use regularly and more suitable for families with children. Natrapel also has less of an odor than repellents containing DEET, making it more pleasant to use overall. In terms of effectiveness, most users found this product kept biting insects away for long periods of time. Whether hiking, camping or fishing with your family, Natrapel is the ideal product for summer-long use! Although the application of this spray is fairly easy, the pump design means it won’t work unless held in an upright position. This can be tricky if you’re trying to spray it onto feet and ankles which, as we all know, are the areas most likely to be under attack. The formula is non-greasy; however, some users report that it leaves a sticky residue that must be washed off once you go indoors. What’s more, although most people find the Natrapel repellent to be perfectly effective, it may not quite cut it if you’re the type that mosquitoes love. If you’re venturing out into the great outdoors during summertime, treating only your skin with insect repellent may not be enough. Biting bugs can be very persistent and, often, the only way to guarantee you won’t find yourself under attack is by spraying your clothes, too. This can prevent mosquitoes and other insects from coming near you, giving you added protection from bites. 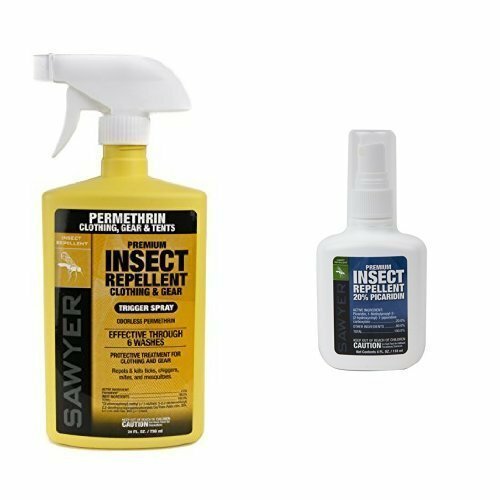 The Sawyer Permethrin Clothing Insect Repellent is a highly effective repellent spray that can be safely applied to all types of fabric. Permethrin bonds to fabric fibers and stays there for up to six weeks, even after washing. 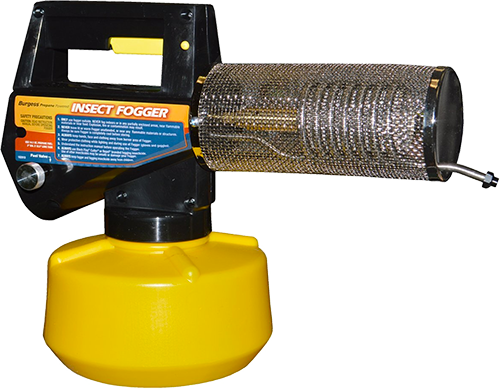 This eliminates any need to re-apply the spray, while effectively keeping biting insects out of your immediate vicinity. If you’re planning a camping trip this summer, it’s a must-buy. Apply it to tents, sleeping bags, clothing, and all other outdoor gear to keep biting bugs away throughout your trip! The Sawyer Permethrin clothing spray is not only safe to use, but it’s also completely odorless when dry. It’s long-lasting, highly effective, and can even be applied to dogs to repel fleas and ticks. 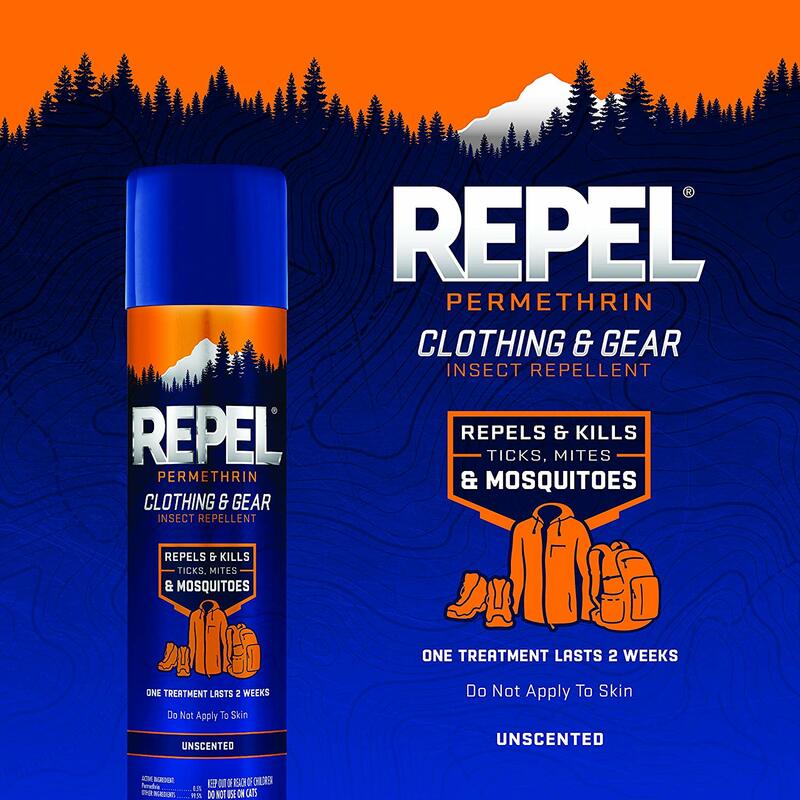 Repel Permethrin Clothing and Gear Insect Repellent can successfully keep mosquitoes, ticks and mites off your outdoor gear for up to two weeks. For avid campers, it’s a must-have, and can be used to effectively treat tents, nets, backpacks, sleeping bags and clothing. This can repel and kill any biting insects that find themselves in your vicinity before they even have a chance to make contact with your skin. The Repel spray is unscented and won’t leave a nasty, chemical odor behind. It will, however, bind firmly to fibers, for lasting protection from biting insects that will last up to two weeks and withstand several washes. Although highly effective for treating fabrics, the Repel Permethrin bug spray isn’t suitable for use on skin. To keep mosquitoes and other biting bugs off your body, this product should be used alongside a picaridin or DEET-based bug spray. The aerosol applicator is easy and quick to use, which is useful considering fabrics must be completely soaked in the formula for effective application. Unfortunately, this means the spray tends to run out very quickly. As a result, this product may be unsuitable for people with a lot of gear to treat, as many customers report that one can is only enough to treat one set of clothes. Keep mosquitoes, ticks, gnats, chiggers, mites, and all other biting insects well away from you with JT Eaton Permethrin Clothing & Gear Spray. For campers, hikers, and fishers this spray is unbeatable, and a must-have for anyone preparing for an outdoor excursion. Apply it to tents, mosquito nets, backpacks, clothing, and all other outdoor gear to effectively repel bugs for up to 6 weeks. This product is just as effective as 100% DEET but without the nasty smell! JT Eaton’s spray is one of the most versatile on the market and can also be used to repel insects inside your home. The list of unwanted insects that can be kept at bay by this spray is seemingly endless. 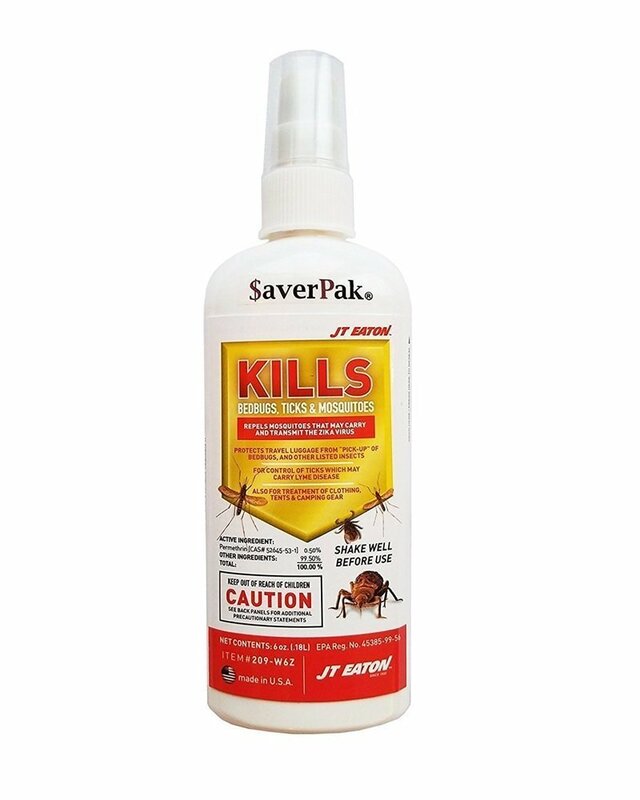 Wasps, roaches, hornet, bees, house flies, moths, spiders, ants, scorpions, and fleas will all turn tail and run from areas treated with the JT Eaton Permethrin spray. Like other permethrin products on this list, the JT Eaton spray is completely odorless when dry. The pump-style applicator is easy to use and the large bottle size means it can be used for several applications; perfect for families or people with lots of clothes to treat. The only downside is that the pump applicator seems to be cheaply made, with several users reporting that it broke after a while. 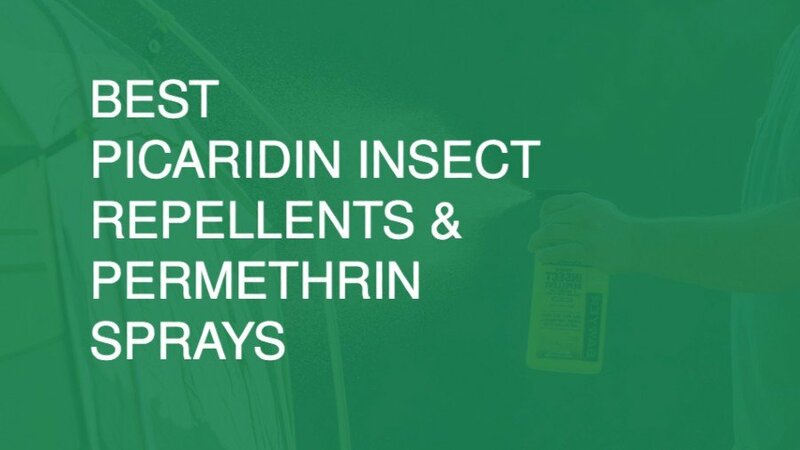 What are picaridin insect repellents and permethrin sprays? Picaridin insect repellents are bug sprays that use picaridin, rather than DEET, as their active ingredient. When used at a concentration of 20%, picaridin is just as effective at repelling mosquitoes, gnats, midges, and ticks as formulations containing the same amount of DEET. It has also been found to have fewer irritating effects on the skin than DEET, which is a big bonus for people planning to use bug spray over long periods of time. Picaridin-based formulations also come without DEET’s unpleasant, chemical odor, making them the preferred choice for many consumers. Who uses picaridin insect repellents and permethrin sprays? Picaridin and permethrin are less irritating to the skin than DEET-based formulations, making them more suitable for use on sensitive skin. This is perfect if you have children in your family. If you plan to spend several days, or even weeks outdoors, you need something a little more heavy-duty than your run-of-the-mill bug spray. Permethrin-based sprays are a fantastic way to keep mosquitoes off your back, as these can be used to treat clothing, tents, nets, and all other outdoor gear. The effects of these sprays can last for up to 6 weeks, even with washing, so they’re the ideal choice for a camping trip! Dog-owners know what a nightmare ticks and fleas can be. Permethrin sprays can be used on your dog’s fur to repel these bugs, which is perfect if you plan to walk your furry friends in rural areas. Note, however, that permethrin sprays must not be used on cats. This insecticide is highly toxic to cats and must be kept well away from felines. How do picaridin insect repellents and permethrin sprays work? Picaridin is a synthetic compound that effectively repels mosquitoes, fleas ticks, and other biting insects. It is often used in repellent insect sprays and is applied directly to the skin. 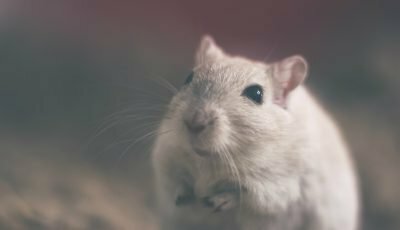 Products containing 20% picaridin have been found to be just as effective as those containing the same amount of DEET, but have less of an unpleasant odor. It is also less irritating to the skin than DEET, making it a great choice for kids and people with sensitive skin. Although picaridin doesn’t kill insects, it seems to prevent mosquitoes from finding you. This makes them less likely to land on you, therefore preventing bites. Permethrin is a synthetic insecticide that is highly toxic to insects. It can kill mosquitoes, ticks, fleas, and other biting flies if they touch or ingest the chemical. Sprays that incorporate permethrin can be used to treat clothing, tents and other fabrics, where it binds tightly to the fibers and effectively repels bugs. Its effects can last for weeks, even after washing, and can keep all biting insects out of your vicinity during hiking and camping trips. This insecticide is odorless when dry and relatively safe to use around humans and dogs; however, it is highly toxic to cats. Many people are turned off by the idea of using chemicals on their skin and, as a result, there are many natural alternatives. ‘Natural’ sprays generally use plant-based repellents such as citronella, peppermint, lavender, tea tree, catnip, and lemongrass. Although some people find that these sprays work, their effects are variable. 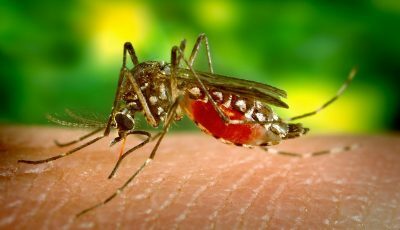 Results seem to vary from person to person and, if you’re the type mosquitoes love, they are unlikely to be strong enough to keep you free from bites. DEET is widely considered to be the most effective mosquito-repellent on the market and has been used to keep insects at bay for decades. However, sprays that contain DEET usually have a strong, chemical smell that is off-putting for most people. Many users also report skin irritation when using DEET, and this chemical can be highly toxic if ingested. Picaridin and permethrin-based formulations are generally preferable because they are odorless when dry, but are just as effective as DEET when used at concentrations of at least 20%. How long do you need the repellent to last for? The main difference between picaridin mosquito repellents and permethrin sprays is how long-lasting their effects are. 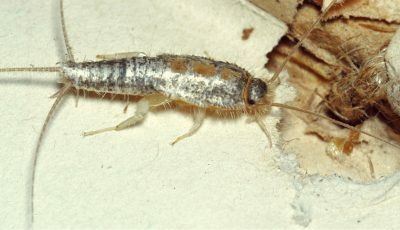 Picaridin bug sprays are designed to be applied directly to the skin, and their effects tend to last for up to 6 hours. They are, therefore, most suitable for use over shorter periods of time. If you are planning a hiking or a camping trip, however, it can be inconvenient to have to constantly re-apply bug spray. In this situation, permethrin-based sprays are a better option. These can be used to treat your clothing and outdoor gear to effectively repel biting insects for a period of several weeks, keeping bugs out of your vicinity throughout your trip. 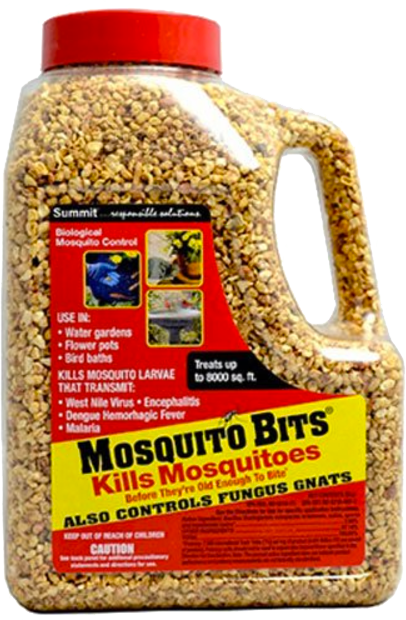 Use when mosquitoes are at their most active: Mosquitoes are most active around dawn and dusk. Repellent sprays should, therefore, be applied at sunrise and sunset every day to keep biting bugs off your skin. Use in areas with lots of mosquitoes: Mosquitoes tend to be most common in warm, humid areas, or places with standing water such as around ditches, ponds, and rice paddies. If you are venturing into areas with large numbers of mosquitoes it is important to be vigilant with your bug spray and use it throughout the day. Re-apply as often as necessary: Repellent sprays will usually wear off after around 6 hours. They may also wash off with water. It is important to re-apply these sprays as often as necessary to ensure their continued efficacy, as well as after swimming or bathing. Use in combination with other preventative measures: If you are camping or sleeping in the open air, it is important to combine repellent sprays with other preventative measures. Always sleep under a mosquito net to keep insects away from you while you sleep, and consider burning citronella candles in the evening for additional protection. Correct storage: Picaridin repellents and permethrin sprays must be properly stored to make sure they don’t lose their effectiveness. Keep your sprays in a cool, dry place and don’t leave them in direct sunlight. Biting insects such as mosquitoes, ticks, fleas, midges, and sand flies are every outdoor enthusiast’s nightmare, especially during summertime. Not only are these bugs a nuisance to deal with, they can also transmit nasty diseases to their victims. Keeping biting insects at bay is, therefore, a top priority for anyone planning to get the most of the warm temperatures and long days of the summer season. Products containing DEET have long been used to repel insects, but the strong, chemical odor of these sprays is off-putting for most people. Non-DEET insect repellents, such as picaridin and permethrin sprays, are an attractive alternative. Not only are these sprays highly effective for repelling insects, they are also completely odorless when dry. Picaridin repellents can be applied directly to the skin, where they prevent mosquitoes from landing and biting. Permethrin sprays can be applied to clothing and other outdoor equipment, where they repel and kill all insects in the vicinity over a period of several weeks. Sawyer permethrin and picaridin products are especially well-known for their efficacy and are a top choice for keeping mosquitoes away this summer!